Whether a competitor or a spectator, you'll be sure to enjoy the conviviality, festivity, gaiety, hilarity, jollification, jollity, merrymaking, reveling ,revelry, and just plain good times of the Word Meister Competition. Teams of 3 compete to see who knows the definition of the most obscured words in the English language. Hijinks ensue! 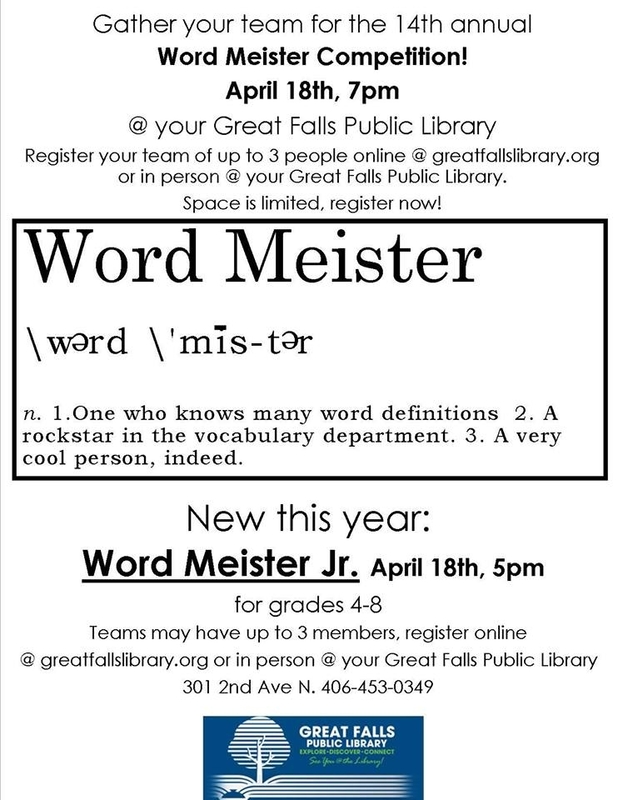 Register your team in person @ your Great Falls Public Library or online @ greatfallslibrary.org. 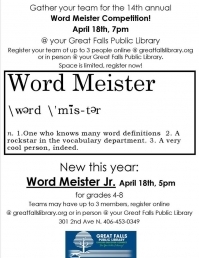 New this year: Word Meister Junior! for ages 8-14- see event page for details.